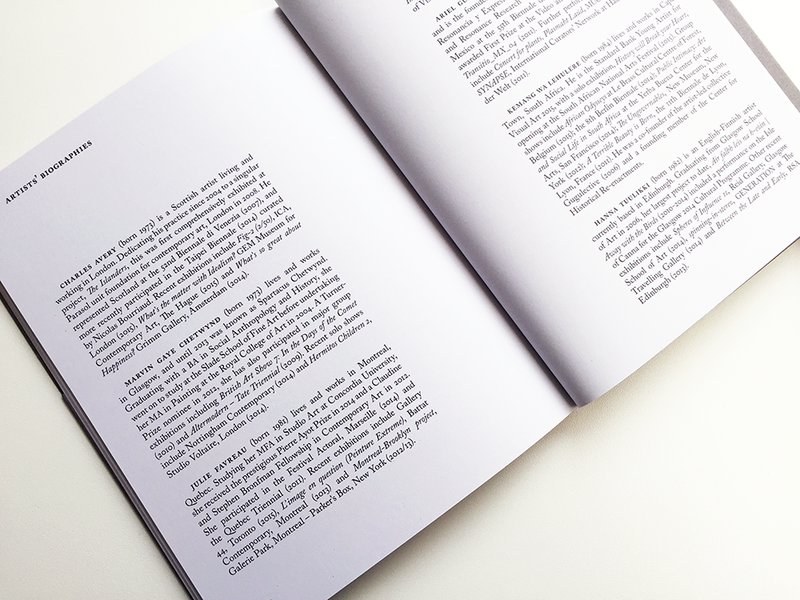 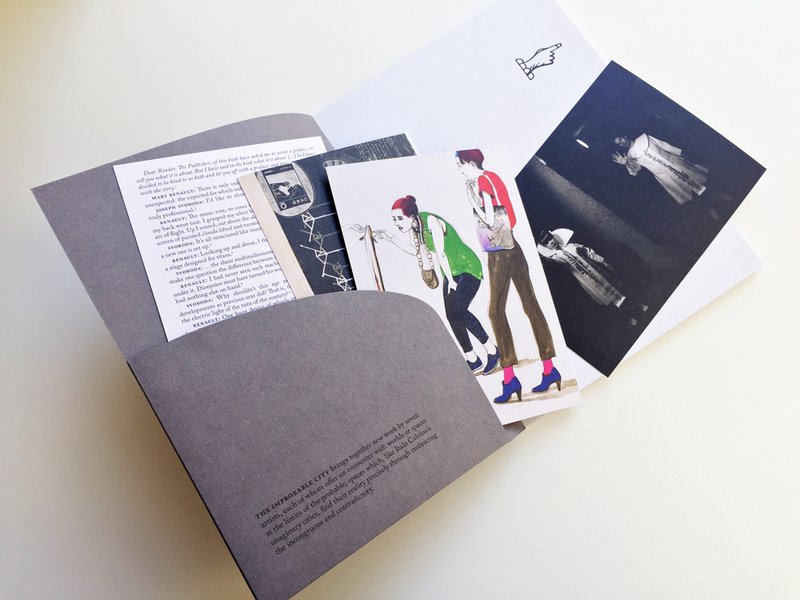 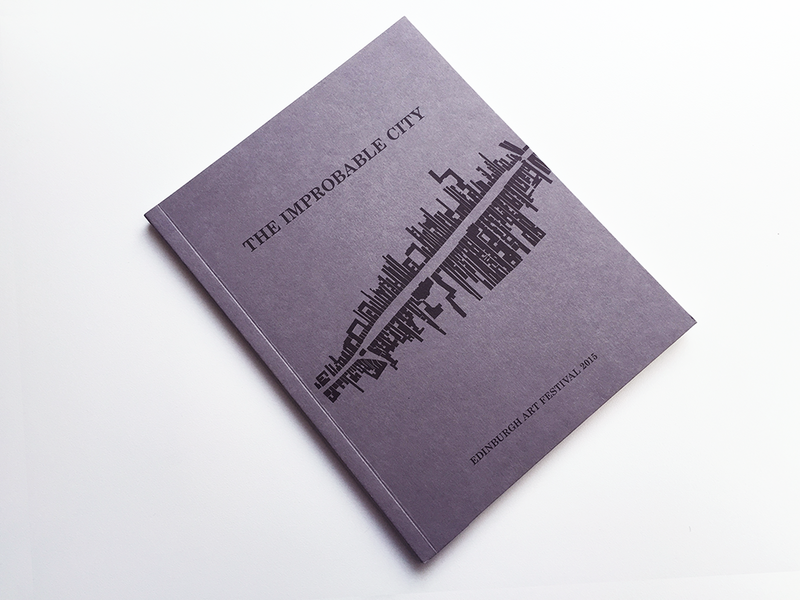 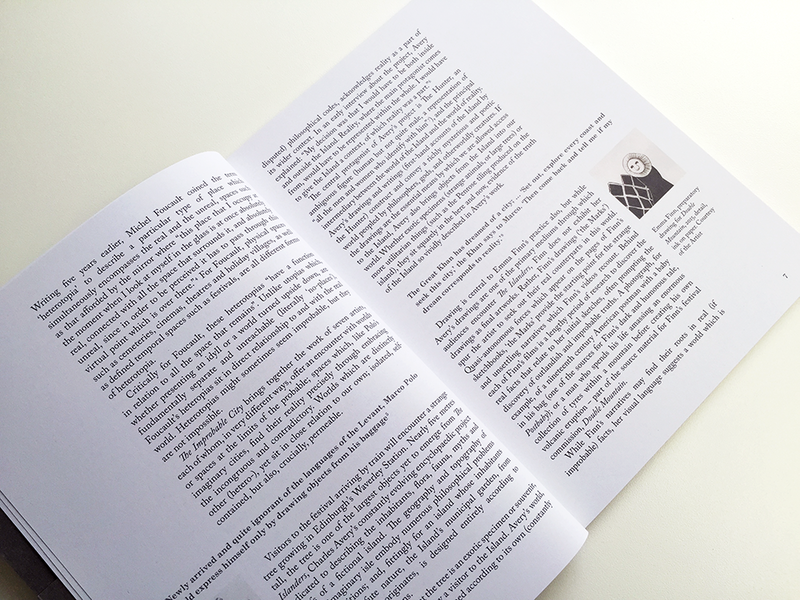 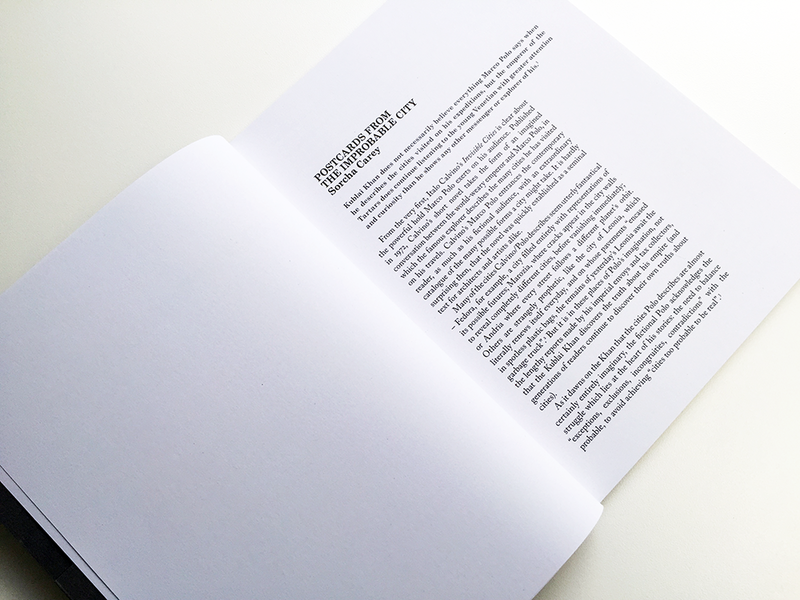 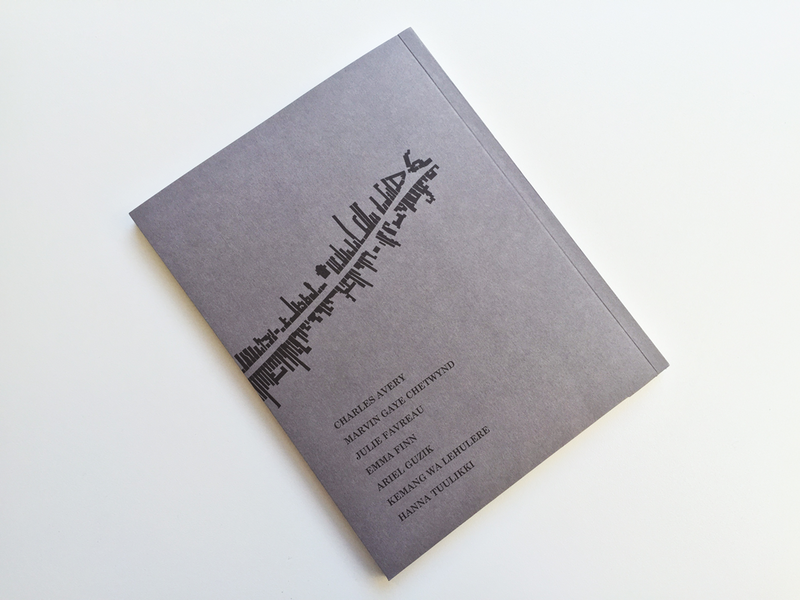 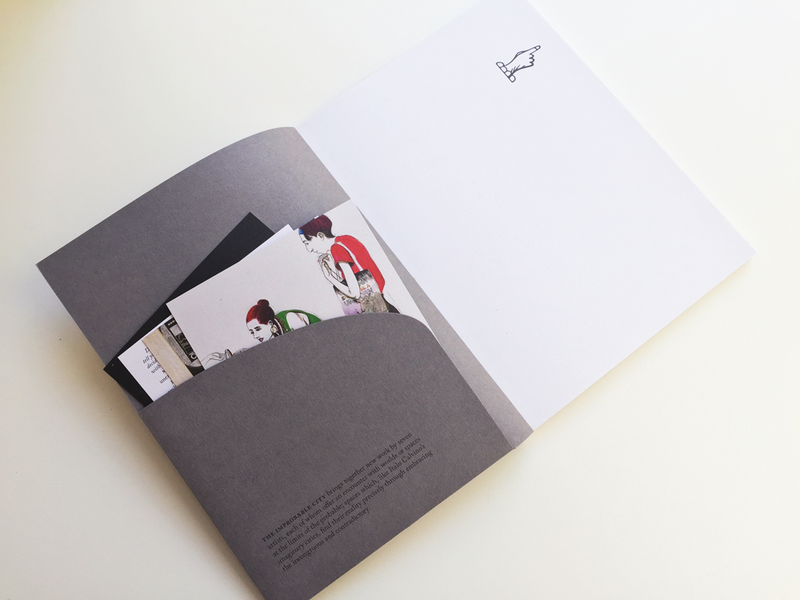 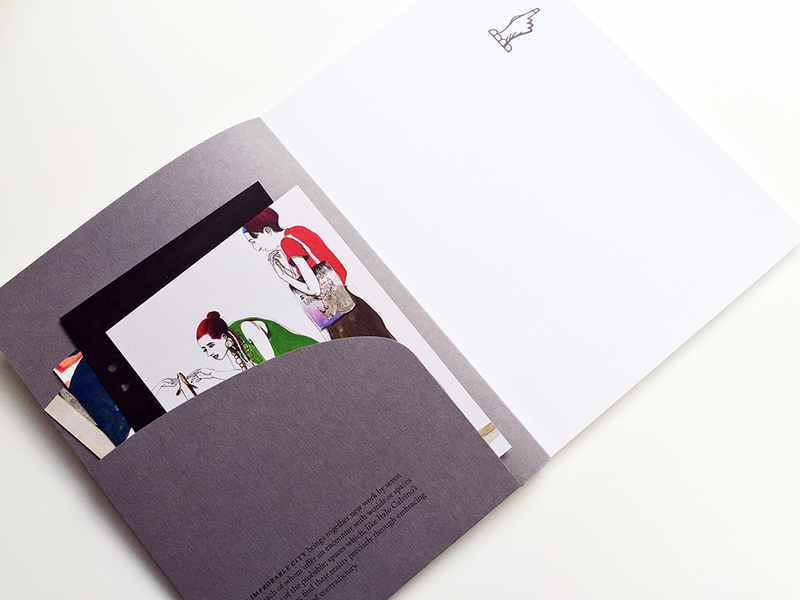 'The Improbable City' book – with postcards! 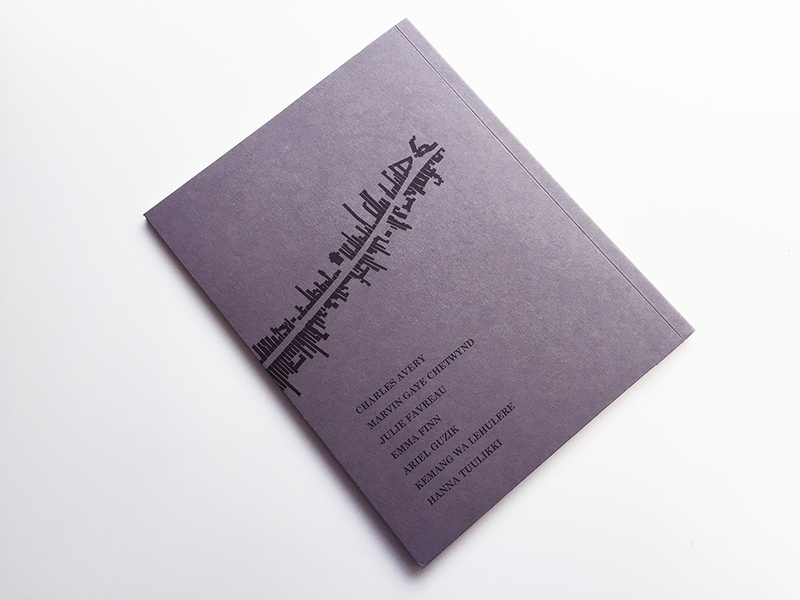 It's the last week of the Edinburgh Art Festival and I've finally got round to photographing the book – with the postcards in place in the flaps on the cover – that I designed to accompany The Improbable City, this year's EAF commissions programme. 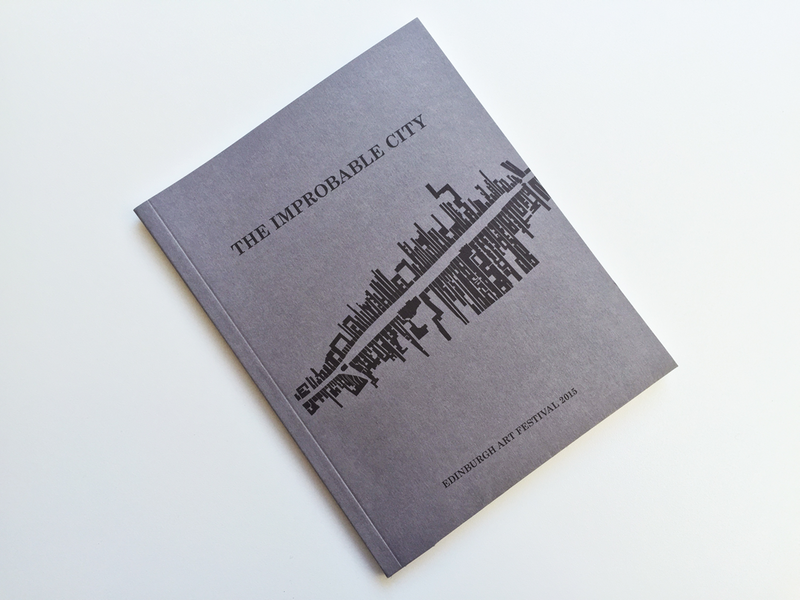 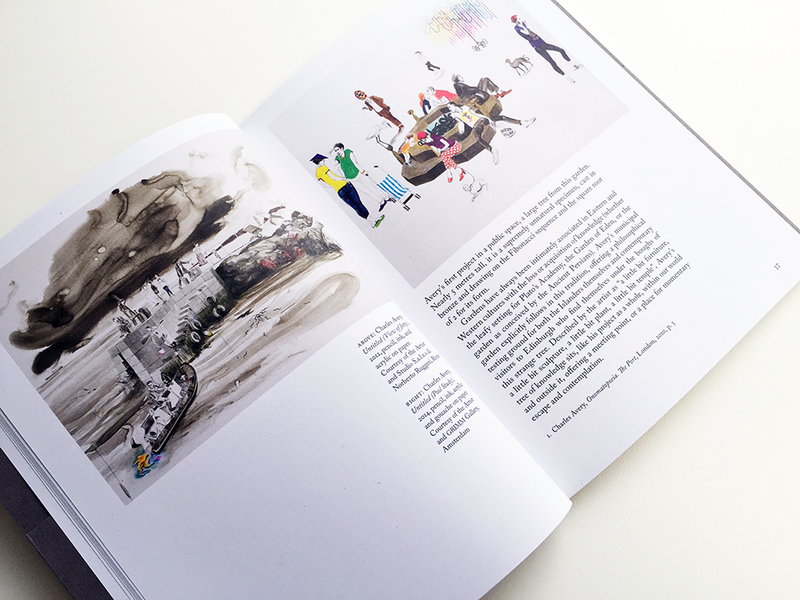 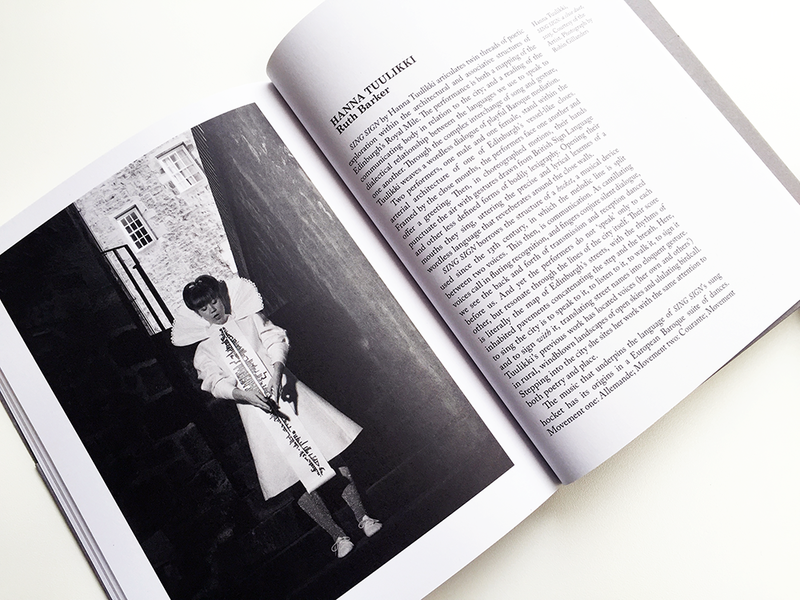 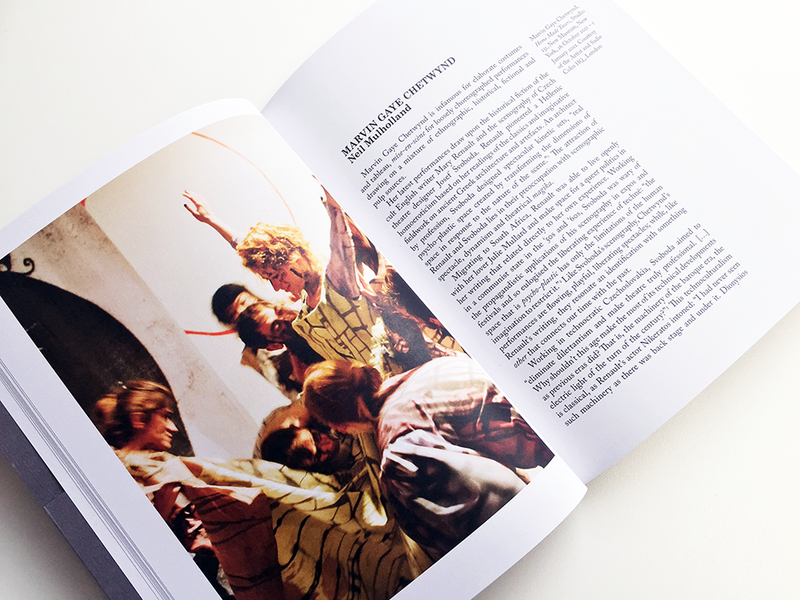 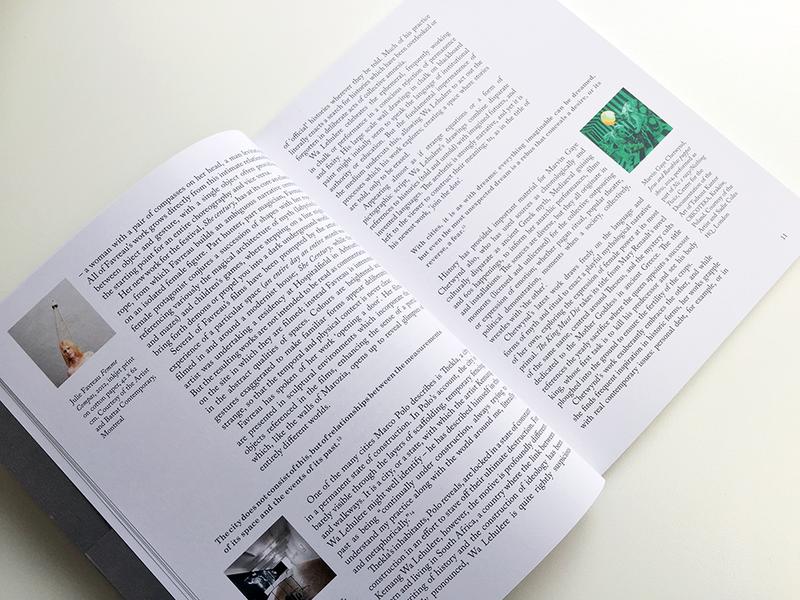 The Improbable City 'celebrates the work of visual artists who vividly conjure alternative imaginary worlds through their work, and considers how it is often the improbable which illuminates the real'. 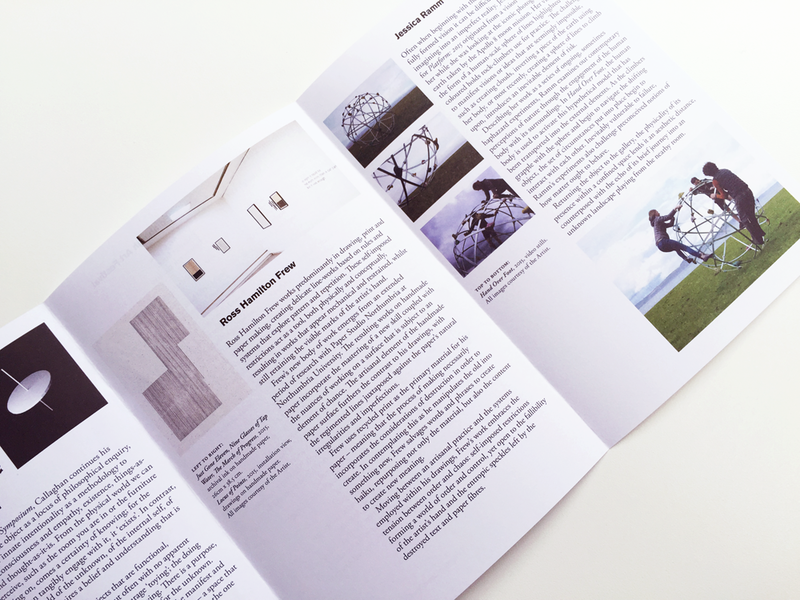 The programme includes work by leading and emerging Scottish practitioners and includes new work by three international artists showing in the UK for the first time. 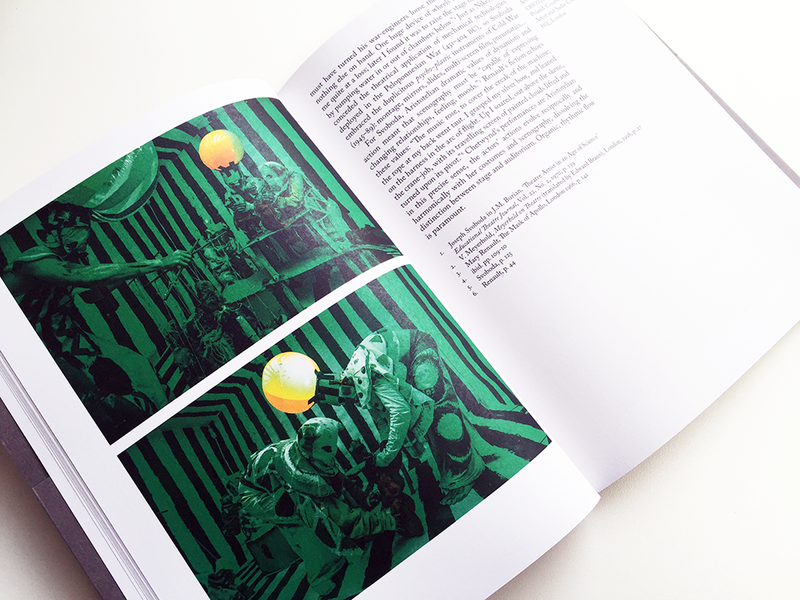 The seven artists in the exhibition are Charles Avery, Marvin Gaye Chetwynd, Julie Favreau, Emma Finn, Ariel Guzik, Kemang Wa Lehulere, and Hanna Tuulikki. 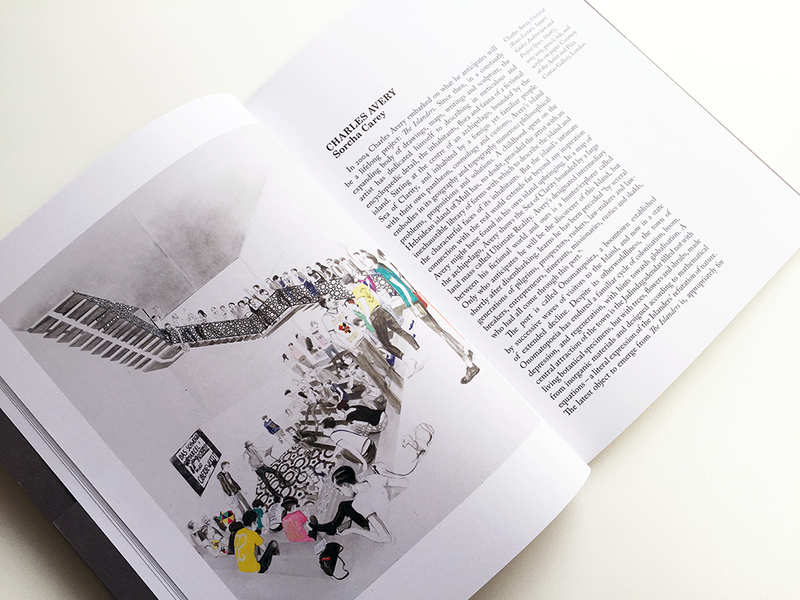 The Improbable City closes on 30 August 2015 – make haste and visit it while you can! 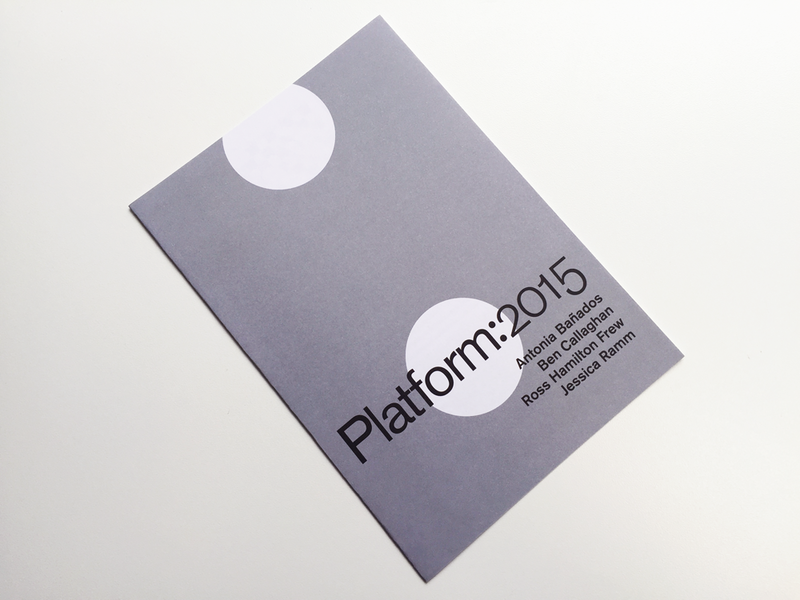 This is a logo I designed for Platform: 2015, a new Edinburgh Art Festival initiative 'intended to showcase Scottish artists at the early stages of their career'. 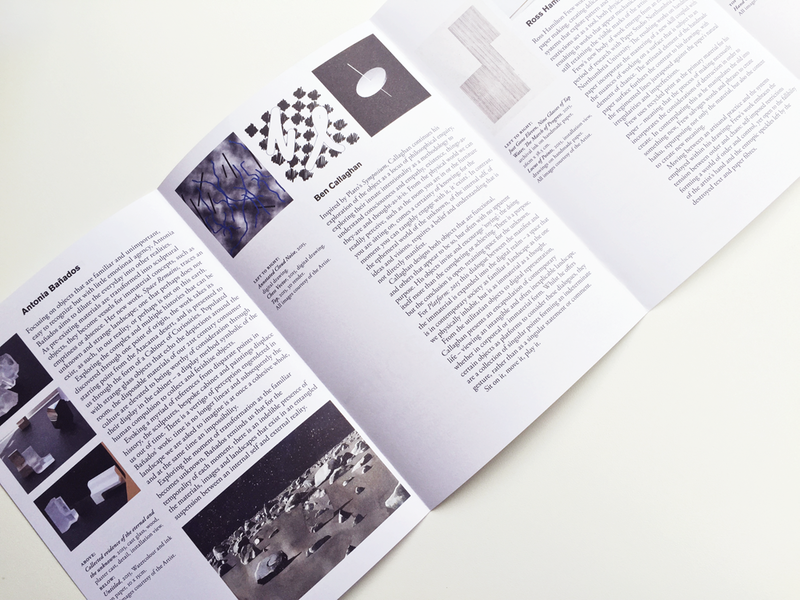 Four artists – Antonia Bañados, Ben Callaghan, Ross Hamilton Frew, and Jessica Ramm – have been selected from an open call by artists Christine Borland and Craig Coulthard working with Edinburgh Art Festival Director, Sorcha Carey and curator Emily Gray. 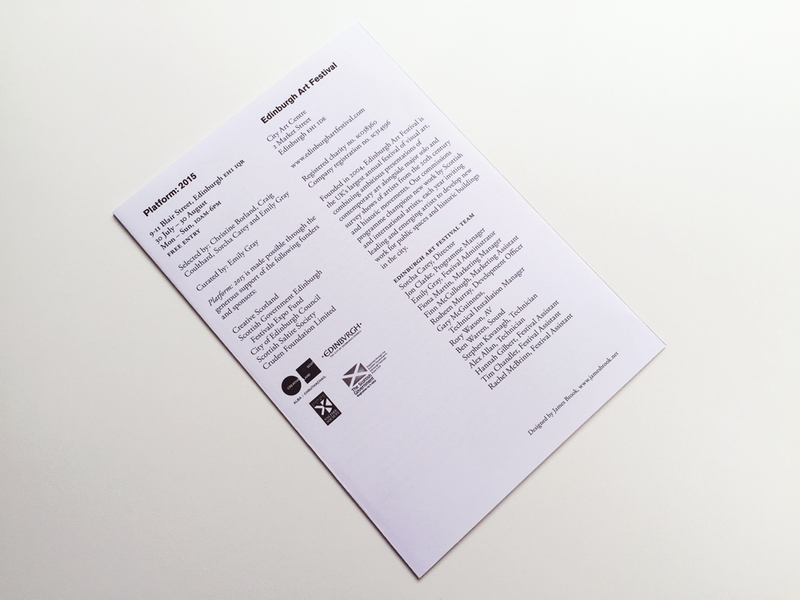 The exhibition can be found at the Festival Kiosk, 9-11 Blair Street, Edinburgh EH1 1QR, until 30 August 2015. 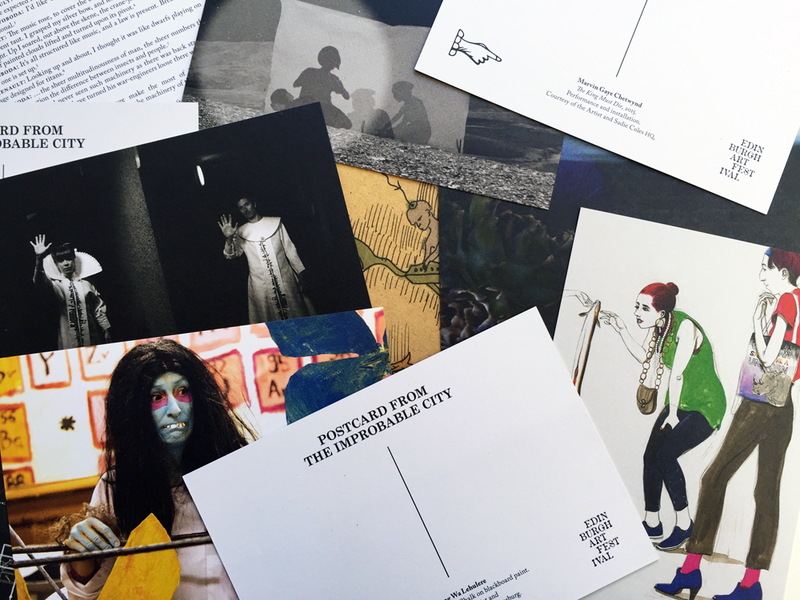 Postcards from 'The Improbable City' printed! 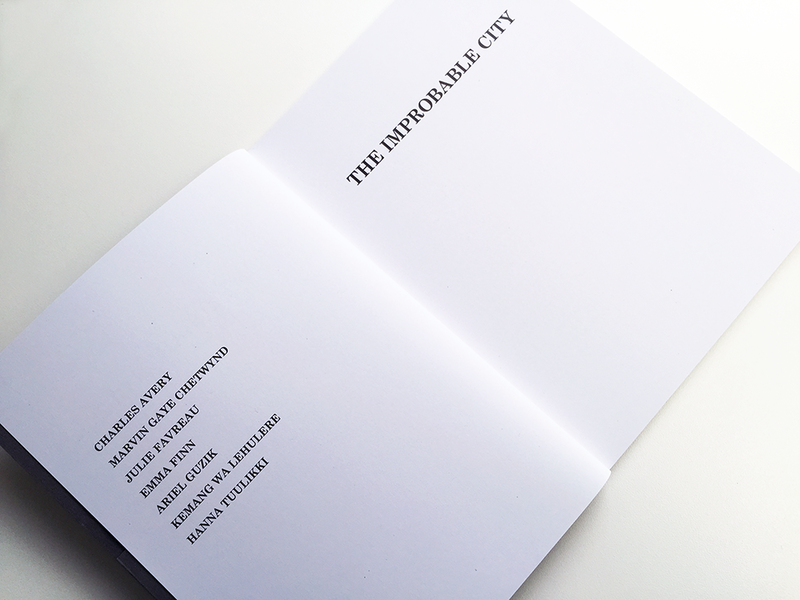 The 'Postcards from the Improbable City', which accompany the book that I designed for the Edinburgh Art Festival, have been printed, and are available from the Edinburgh Art Festival Kiosk, 9-11 Blair Street, Edinburgh, EH1 1QR. 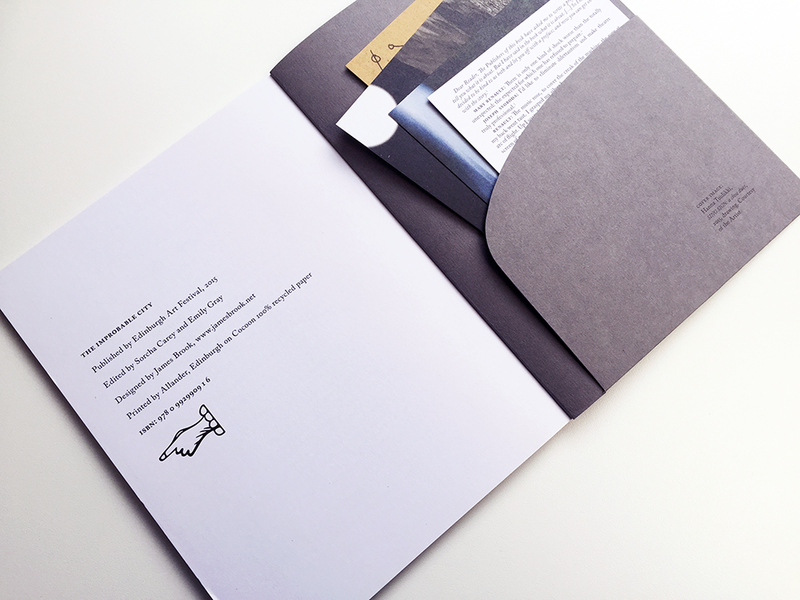 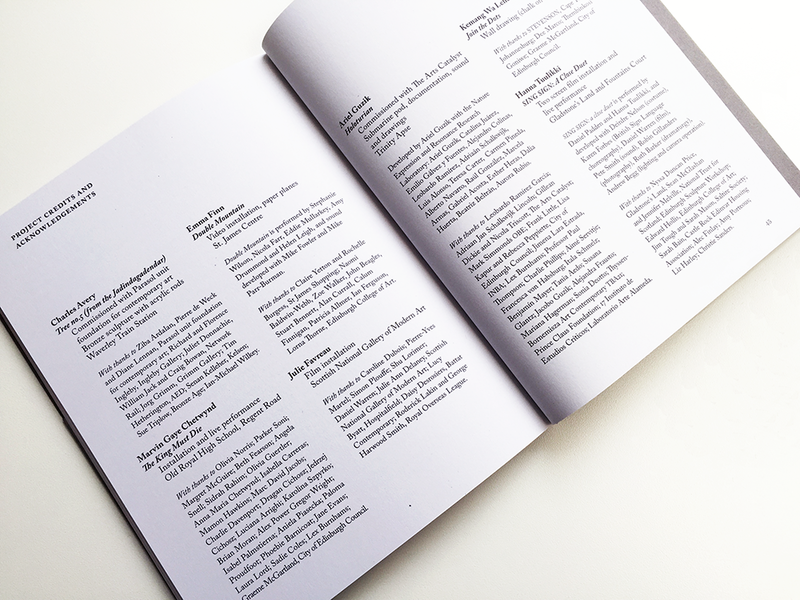 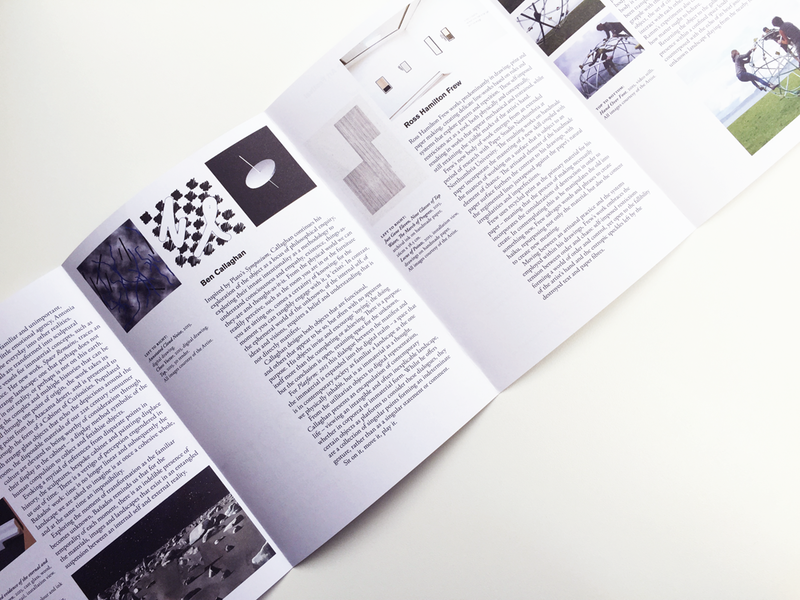 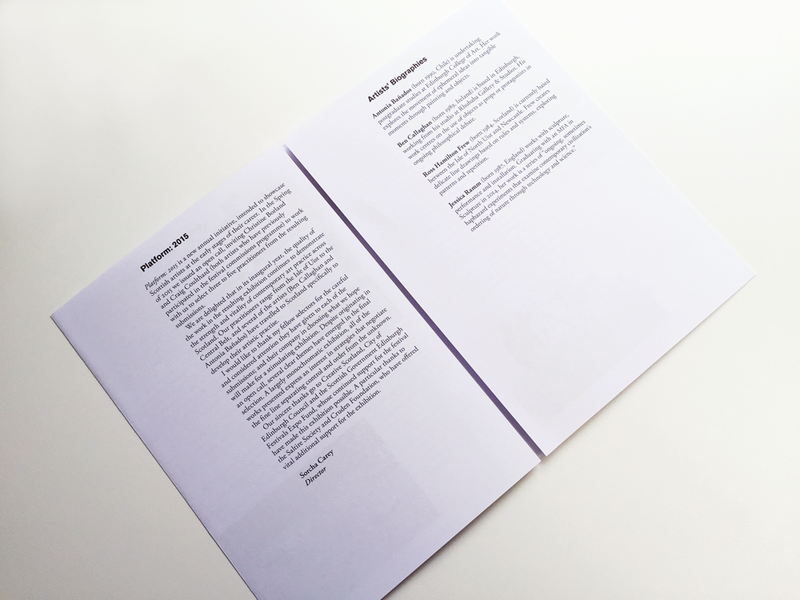 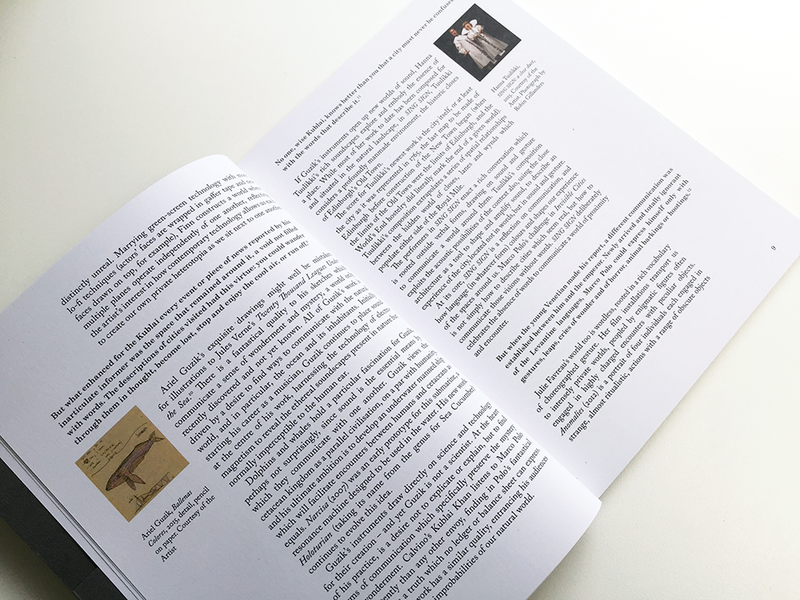 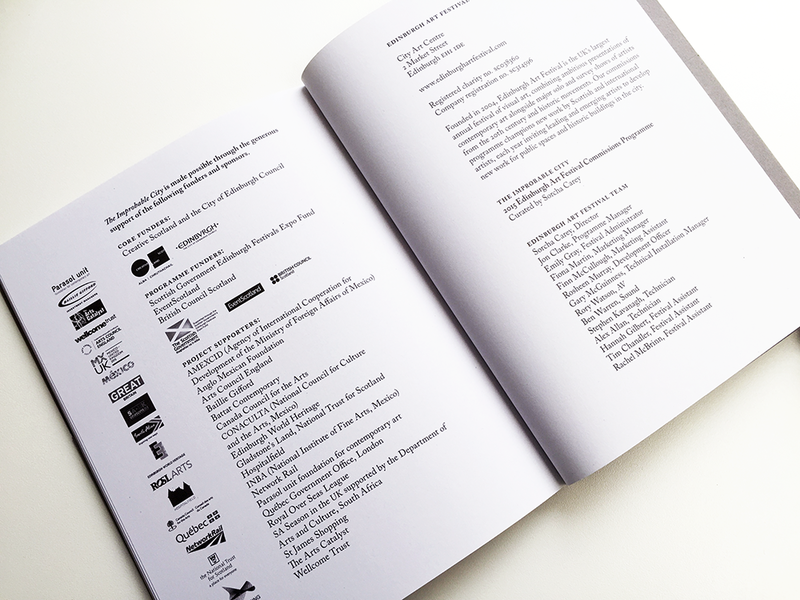 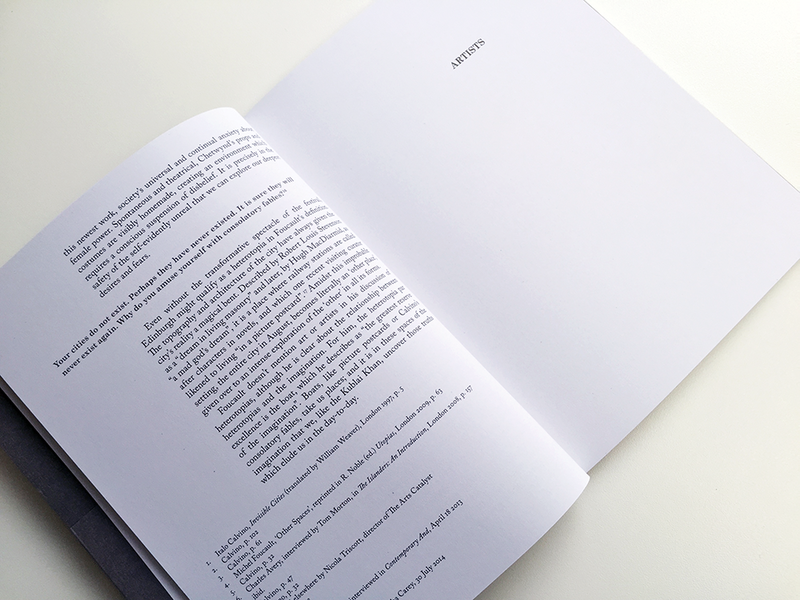 The postcards are slotted in to pockets on the inside cover of the book, strengthening the idea of a book as a guide for visitors to 'The Improbable City'. 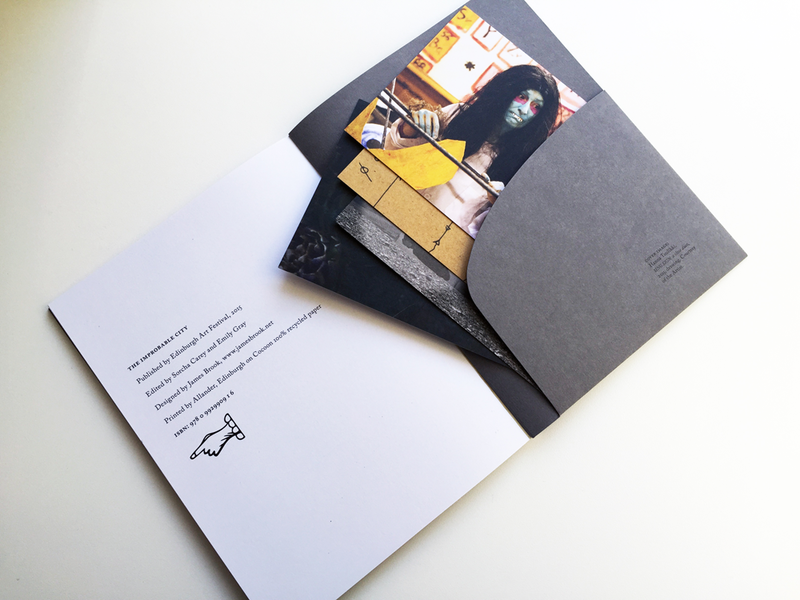 There are eight postcards in the set with work by the seven artists featured in the exhibition - Charles Avery, Marvin Gaye Chetwynd, Julie Favreau, Emma Finn, Ariel Guzik, Kemang Wa Lehulere, and Hanna Tuulikki - as well as an eighth postcard by Neil Mulholland, which features a text written in response to Marvin Gaye Chetwynd's work. 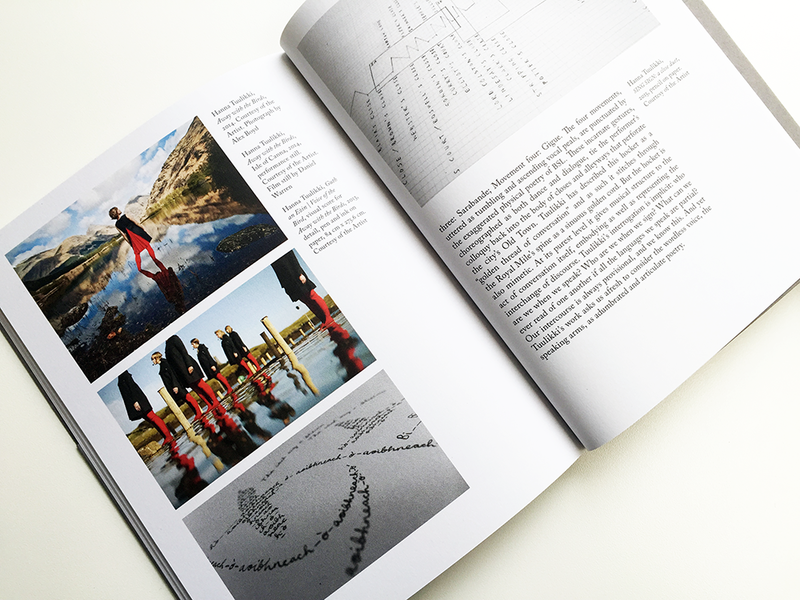 Photos of the book coming soon!